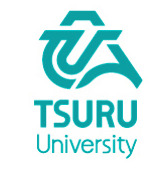 Welcome to the official website of the 2019 The 9th International Conference on Education, Research and Innovation (ICERI 2019), which will be held during October 25-27, 2019, in Tsuru University, Japan. ICERI 2019 is organized by IEDRC and co-organized by Tsuru Unviersity, which aims to bring together researchers, scientists, engineers, and scholar students to exchange and share their experiences, new ideas, and research results about all aspects of Education, Research and Innovation, and discuss the practical challenges encountered and the solutions adopted. The conference will be held every year to make it an ideal platform for people to share views and experiences in Education, Research and Innovation and related areas. For more details of the conference schedule, please feel free to contact us at iceri@iedrc.org. The full version of program will be given on Mid September. Option B: International Journal of Innovation, Management and Technology (IJIMT, ISSN: 2010-0248, DOI: 10.18178/IJIMT) as one volume, and will be included in Google Scholar, Ulrich's Periodicals Directory, Engineering & Technology Digital Library, Crossref and ProQuest, Electronic Journals Library. January 02, 2019. News! Organized by IEDRC and Tsuru unviersity, ICERI 2019 will be held in Tsuru unviersity from October 25-27, 2019. Welcome to attend the conference to share experience and review research results. As Author, you can publish the manuscript and deliver paper presentation on ICERI 2019, orally or poster presentation. You must submit Full-length Manuscript for review before the submission deadline. As Presenter, you can deliver a presentation on ICERI 2019, but the presented manuscript WILL NOT be published. Abstract is necessary to submit.